and Commercial Radio Australia have hit out at the restrictions around political advertising and local content imposed on them, which Facebook and Google don't have to adhere to. Sims echoed these concerns on the night and noted the digital platforms are increasingly behaving like news media businesses. “The policies and legislation have not kept pace with the stunning rise to influence of digital platforms and, in particular, Facebook and Google,” Sims said. While Facebook is yet to make its submission to the inquiry, it has hit back at the ACCC's idea of an algorithms watchdog. Google, which submitted to the inquiry last week, urged the ACCC to not see the two tech giants as the same, arguing it's not a social media platform. The ACCC is expected to release the inquiry’s full report in June. 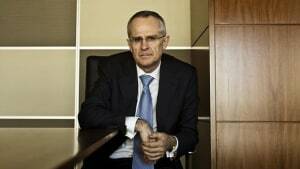 The Australian Competition and Consumer Commission (ACCC) chairman Rod Sims is calling on the advertising industry to provide feedback on its deep dive into the “stunning” rise of digital platforms Facebook and Google. Speaking at a ThinkTV and Australian Association of National Advertisers event tonight, Sims asked the industry for its help in tackling key issues, including the current opacity of the ad tech supply chain and the future growth of addressable TV. The discussion follows the ACCC’s releasing its preliminary findings of its inquiry into the impact digital platforms have on Australian journalism last year, and the recent submission deadline to take part in the inquiry. Addressing a room full of advertising and marketing execs, Sims said his concerns around the lack of transparency around the ad tech supply chain means that advertisers don't know what they are paying for, where their advertisements are being displayed, and to whom. Sims noted that Google and Facebook operate platforms that give other companies, including media companies, advertising opportunities, but at the same time they compete with these companies for advertising dollars. “A supplier, which is also a critical gateway, has the ability and incentive to provide themselves with an advantage or, conversely, to discriminate against others,” Sims said. “For media companies who compete against Google and Facebook this is a critical issue. He also spoke about the issue of intermediary services, such as the cut of the amount paid by the advertisers for the ad impression. Collectively, the amount charged or ‘cut’, taken by intermediaries, is estimated to be between 30-75% of the final price paid for ads. “We have not yet reached a view on these issues and we are continuing to examine the ad tech supply chain to understand better how it works and how this impacts advertisers,” Sims said. Sims added the size of Facebook and Google mean they're now 'unavoidable business partners' for advertisers and also asked for the industry's views on future trends in advertising. For example, the impact of addressable TV ads and whether it will complement or compete with Google and Facebook. “We’re interested in how the growth of addressable television may influence advertising markets; whether this is something advertisers think will impact their advertising campaigns in the short to medium term; and how broad and how valuable the consumer data obtained may be to both advertisers and commercial networks,” Sims said. Sims also touched on the problem of inconsistent regulations across the industry. Both Free TV and Commercial Radio Australia have hit out at the restrictions around political advertising and local content imposed on them, which Facebook and Google don't have to adhere to.